Cover Story Virtual reality: dreams come alive. It's Amiga showtime in Germany and UK. 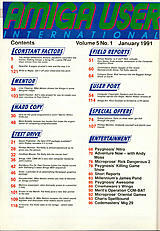 The Amiga 1500: CBM UK's very own computer. On test: Saxon challenging Pro Page; Sounding off with Audiomaster 3; Expanding on the Cortex 2 Meg; Vorecone is talking with you; plus new Philips monitor and the cordless mouse, and Wings, Rick D 2, James Pond, Killing Show, Awesome, Operation Combat, Oriental Games and much much more. 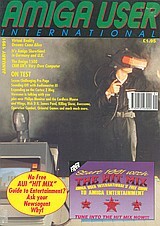 Note Included cover mounted supplement: Hit Mix Guide to Entertainment.